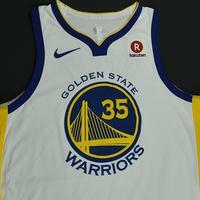 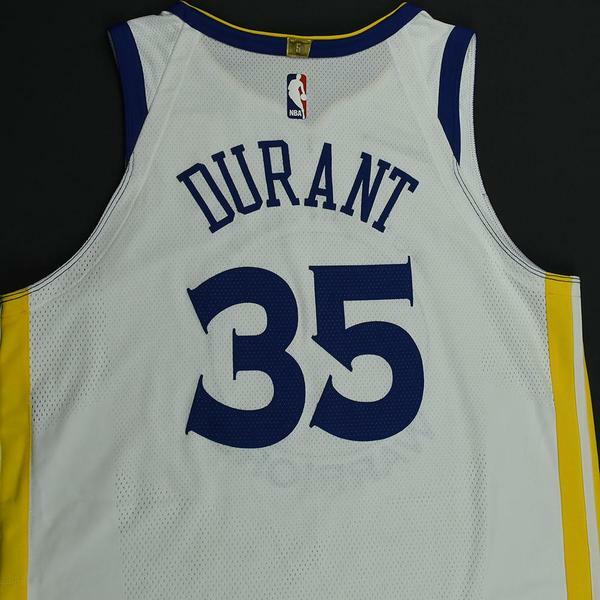 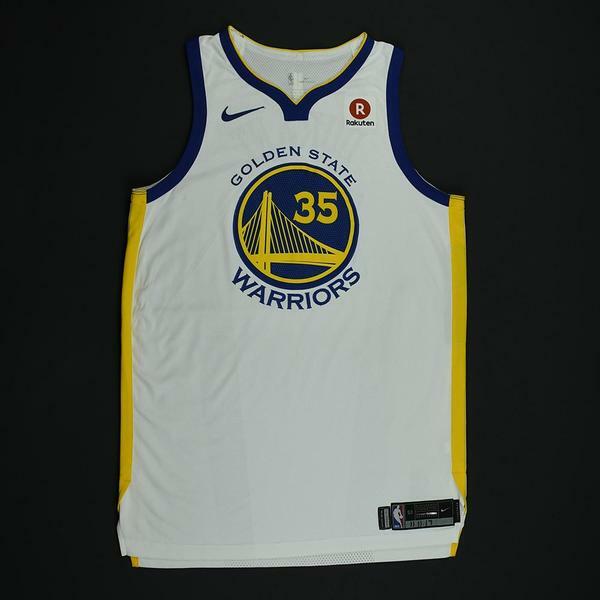 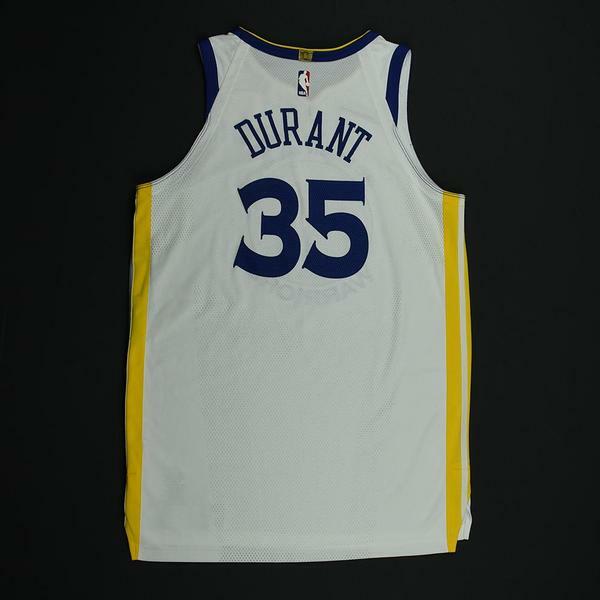 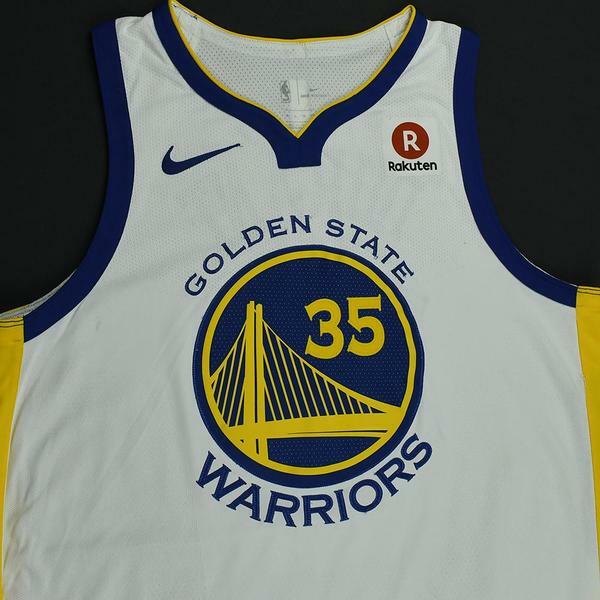 Durant wore this jersey during the Warriors' 135-114 victory over the Philadelphia 76ers on November 11, 2017 at ORACLE Arena in Oakland, CA. 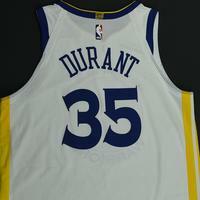 He played 28 minutes and registered 29 points with 4 assists, 5 rebounds, 2 steals and 2 blocked shots. 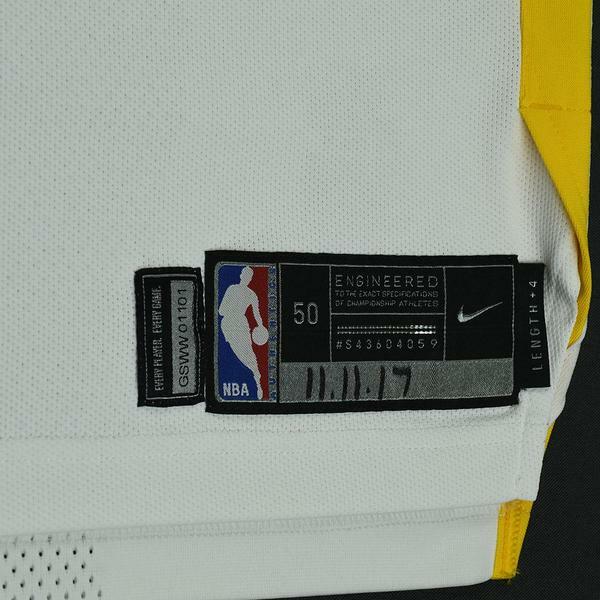 "11.11.17" has been handwritten on the jocktag.